Missed out on your chance to let our experts solve your advertising problems at the B2B marketing expo? Don’t worry - here’s everything you need to know. 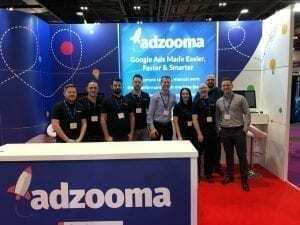 Over 20,000 people made their way down to London’s excel for the UK’s biggest marketing event: the B2B Marketing Expo. If you were, you would have benefitted from expert insider industry knowledge from over 700 exhibitors, 500 incredible seminars and 200 masterclasses. No wonder it was such a success. 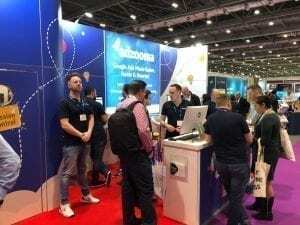 The attendees were also lucky enough to see dozens of unmissable keynote speakers from huge names including HubSpot, LinkedIn, Depop, JustGiving and Shutterstock. And, of course, our very own Head of Partnerships, Sal Mohammed. It truly was an action-packed two days. We couldn’t possibly tell you everything that happened. But we thought we’d give a little shoutout to Crazy Dave Promo, Gold Vision CRM and Lead Forensics for the free merch, expert advice and tasty sweets. With so much going on, it means that even if you attended, you might not have had time to visit our experts over at stand 1930. That’s fine. We get it. (Really). But we couldn’t have you completely miss out on the good stuff. So, we’ll do this recap for everyone who missed out. 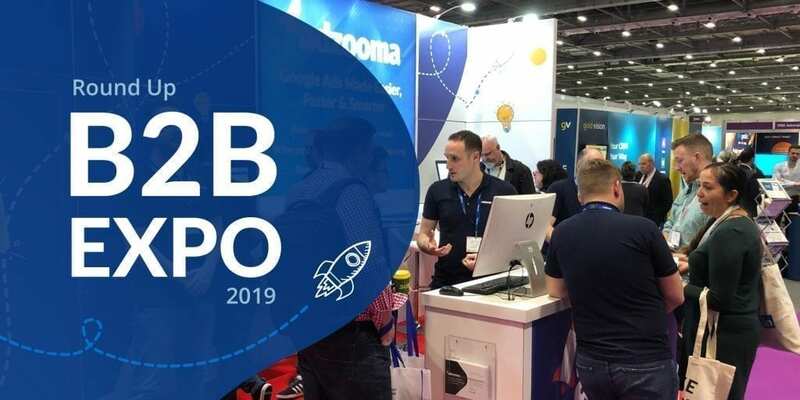 We can’t stress how many insightful and golden speakers and seminars available at the B2B Expo. One of our favourites included Alison Edgar of Sales Coaching Solutions, who gave a popular and rousing talk on how to develop your team with Intrapreneurship. But, Sal Mohammed, our Head of Partnerships and ex-Google expert definitely stole the show at this year’s B2B Expo. The talk was a roaring success and something that we’ve worked carefully on implementing at Adzooma. In fact, we’ve just launched our very own automation feature. Didn’t get a chance to attend? Don’t worry – you can read all about how AI can transform your business in our free PDF. Firstly, we’d just like to say a massive thank you to Unique Exhibitions for creating us such an amazing stand for the expo. Or stand didn’t just look good. It also came with lots of free goodies, including out-of-this-world popping candy and plenty of yo-yos to go around. And boy, did those yo-yos go down a treat. But that wasn’t the best part. We didn’t just give out free yo-yos after all. Optimise your Google Ads accounts in just a few clicks. Quickly and easily run several accounts at scale, without hiring more staff. Use automation to save you from repetitive and tedious tasks. Make more money from your Google ads, with less time and effort. To top it all of? We also gave out free demos to see how it all works. Want to get your hands on this golden information? Get in touch with our team. We’ll email across the snazzy booklets and secrets you missed at our stand. Unfortunately, we haven’t worked out how to email a yo-yo yet. So this will not be included. This wasn’t our first event – and it won’t be the last. These events are golden opportunities to build connections with industry professionals, answer your questions and find incredible insightful solutions to help solve your problems. As we put up on our Instagram story, our stand got so popular at the B2B Marketing Expo that our Head of Sales, Jamie Dixon, decided to act bouncer for us. Missed out on your opportunity to speak to our experts? Get in touch today to see how we can help grow your business.